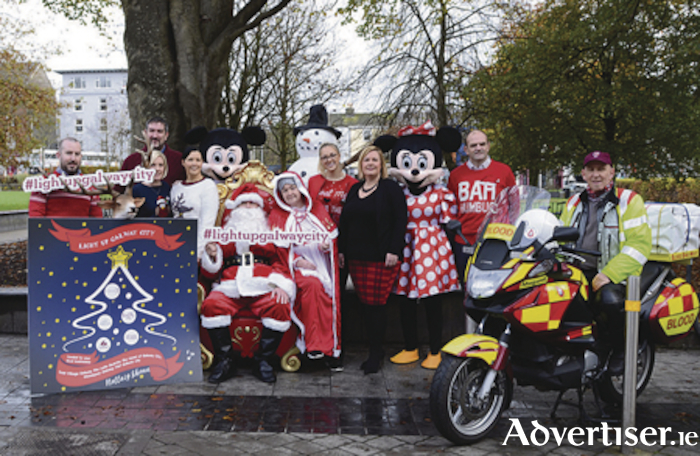 Santa is coming to Galway City on November 17 to officially light up Galway city. This year Santa will be making four special stops on his magical train as he zips through the city turning on the lights. His first train stop will be in Galway’s Latin Quarter at 5pm at the Cross Roads, where Galway comes alive. The train will then make its way up through Shop Street and stop at AIB on the corner of Abbeygate Street, where the Medtronic Choir will be singing live. Santa will then visit the Woodquay area of Galway to turn on their giant christmas tree and join in the Christmas spirit. He will finish up with a trip to Galway’s East Village, to join a host of local celebrities and musicians on stage. Here Santa will turn on the final lights of the city and the Christmas market live from the stage at the main entrance to the Eyre Square Shopping Centre. Charities benefit as hurling stars attend AIB community event. Page generated in 0.2390 seconds.